Nick Carter first came to radio as The Return of Nick Carter. 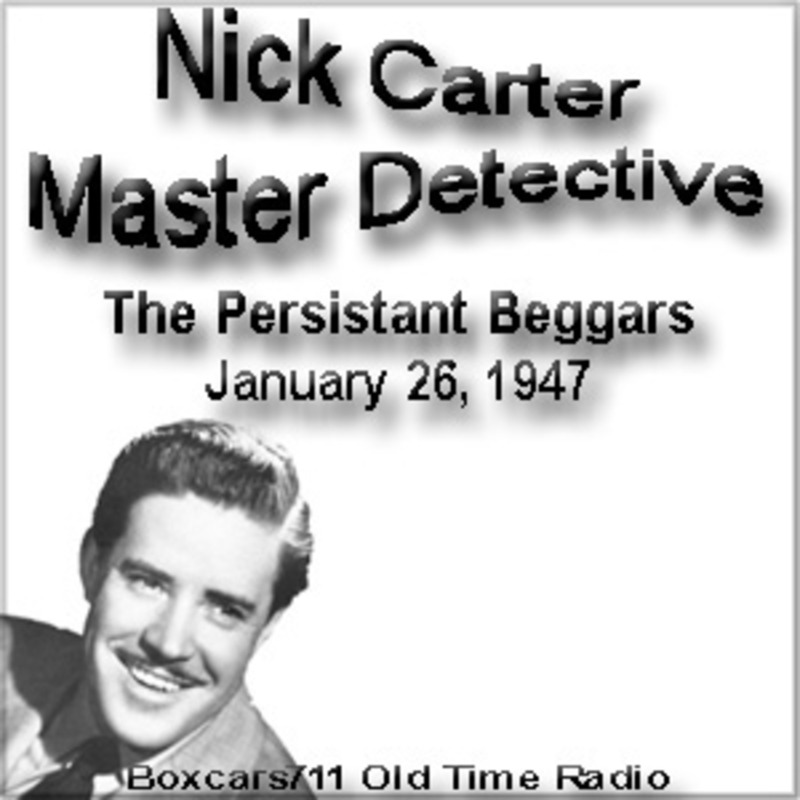 Then Nick Carter, Master Detective, with Lon Clark in the title role, began April 11, 1943, on Mutual, continuing in many different timeslots for well over a decade. Jock MacGregor was the producer-director of scripts by Alfred Bester, Milton J. Kramer, David Kogan and others. Background music was supplied by organists Hank Sylvern, Lew White and George Wright. Patsy Bowen, Nick's assistant, was portrayed by Helen Choate until mid-1946 and then Charlotte Manson stepped into the role. Nick and Patsy's friend was reporter Scubby Wilson (John Kane). Nick's contact at the police department was Sgt. Mathison (Ed Latimer). The supporting cast included Raymond Edward Johnson, Bill Johnstone and Bryna Raeburn. Michael Fitzmaurice was the program's announcer. The series ended on September 25, 1955. THIS EPISODE: January 26, 1947. Mutual network. "The Case Of The Persistent Beggars". Sponsored by: Old Dutch Cleanser, Del Rich Margarine. The panhandlers of the city are unionized...and controlled by crooks! Lon Clark. 29:18. Episode Notes From The Radio Gold Index.